Business: Leading Insurance Broker selling a range of both Commercial & Personal Insurances from Public Liability & Employers Insurances to Life Policies, Mortgage Protection, House Insurance, Car Insurance & more. Through Google Adwords, they have not only increased the number of visitors to the site but more importantly the number of conversions through constant monitoring and tweaking the campaigns to get the most from the advertising budget. Through the reports provided by WebResults.ie we know exactly where we are getting our traffic from and which sources of traffic are most valuable right through to conversions. This is vital information to gaining optimum performance through our website enabling WebResults.ie to focus on the activities that bring the best results for our business. We would not hesitate in recommending WebResults.ie for your web development or web marketing needs if you are looking for professionalism and results for your business through the web. 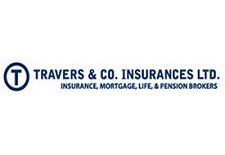 Aaron Travers, Travers Insurances & Co Ltd.